Well, an increasing number of companies—including Cornerstone—have launched their own "Bring Your Parents to Work Day," enabling Millennials to spend a day showing their parents exactly what the modern day workplace is all about. Video of Cornerstone OnDemand - Bring Your Parents to Work Day. That's absolutely normal," says Cornerstone OnDemands' Associate Vice President of Learning and Organizational Effectiveness Jeff Miller. That's why today, we're proud to announce a new partnership with InCommon , an identity management federation, that will enable current and future customers to provide their users with safe, reliable access to all of their applications, including Cornerstone. The Board of Global Ministries: Inspiring Young Leaders to Grow The Cornerstone OnDemand Foundation partnered with the Board of Global Ministries to help its young employees develop leadership skills. Executive Director of the Cornerstone OnDemand Foundation Julie Brandt shares her first-hand experience as a mentor. 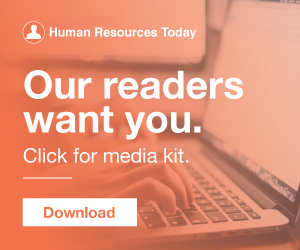 Editor's Note: In today's fast-paced news cycle, we know it's difficult to keep up with the latest and greatest HR trends and stories. According to results from a new survey of healthcare executives by Cornerstone OnDemand and WBR Insights, a conferencing and networking firm for business leaders, the most agile and adaptable institutions in health care are constantly reviewing their skills and their deficits. 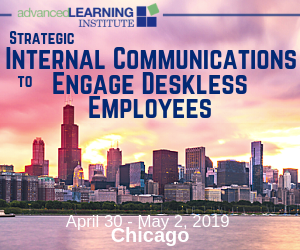 A recent study by Cornerstone OnDemand found that 68 percent of employees have suffered from work overload in which they have too much to do on a daily basis. This is the second in a series of articles we’re doing around our annual State of Workplace Productivity survey. Register here for our compliance webinar with Heather Bussing and Mike Bollinger , Global VP Cornerstone OnDemand, taking place on February 7th. You won't find Heather Bussing's definition of compliance in a dictionary. In 1999, Cornerstone OnDemand started with a few modest start-up trappings: a whiteboard, a shared cordless phone, a meeting room at a Santa Monica bowling alley and a bold idea: We wanted to change the world through online learning. Meet the New Cornerstone. Guests: Elvis Ha, Cornerstone OnDemand, Melissa Lanier Preston, T-Mobile. 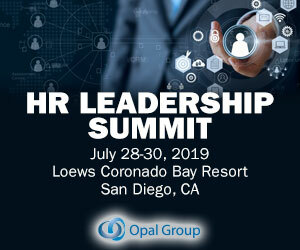 This week on the HR Happy Hour Show, Steve is joined by Elvis Ha of Cornerstone OnDemand , and Melissa Lanier Preston of T-Mobile,recorded live from Cornerstone OnDemand's Convergence Conference in San Diego. And thanks to Cornerstone OnDemand for having us out at the Convergence event. HR Happy Hour 323 - The Evolution of Learning and Leadership Development. Start learning through Cornerstone's free online learning portal here. Here, six HR experts, Cornerstone all-stars and extreme learning professionals share what motivates them to find time to continue learning day in and day out. Social learning and collaboration is a big initiative at Cornerstone. Company Cornerstone OnDemand New Products Generational changes in the workplace are transforming the way people work and the way organizations do business. According to “ State of Human Capital in Management and Government, " a report by HCMG, WBR Insights and Cornerstone OnDemand, 62 percent of government employees said their organization is currently investing in technology to support digital transformations, or will be in the next 12 months. Three years ago, the Cornerstone OnDemand Foundation partnered with the Board of Global Ministries to better prepare their future leaders to carry out its initiatives. The Board of Global Ministries partnered with the Cornerstone OnDemand Foundation to help its young employees develop leadership skills in an organization whose employee count has doubled to 200 in the last 18 months. Registration is now open for the free webinar featuring Stacia Sherman Garr, VP at Bersin by Deloitte; Miranda Ashby, Senior Director at Cornerstone OnDemand; James Trujillo, Sr.
HR Gets an AI Assist “It will be extremely helpful for employers to have access to honest reviews from people who have been directly impacted by the candidate's work, including managers, peers and direct reports," says Elvis Ha, Cornerstone OnDemand's manager of product management. An emerging set of digital tools are entering the workforce today—replacing jobs, but also creating them. As one example, Cornerstone OnDemand, the talent management […]. HCM software of all flavors and colors is going international. Companies that made their debut in North America are rapidly gaining market share through expansion across the globe, whether through selling to multinationals with headquarters in North America or directly to companies located elsewhere in the world. Cornerstone Recruiting. Cornerstone Mobile. The Cornerstone Mobile App now allows users to search through the entire course catalog, find training, request or assign training as needed, and complete training from any mobile device. Cornerstone Performance. Company Cornerstone OnDemand New ReleasesUsing data to generate business value has become a critical need for businesses to remain innovative and competitive. 5 Ways to Empower Employees With Future Skills In partnership with Cornerstone OnDemand, the Institute for the Future unveiled a Future Skills Map highlighting the capabilities that modern workers need. Editor's Note: In today's fast-paced news cycle, we know it's difficult to keep up with the latest and greatest HR trends and stories. To make sure you're updated, we're recapping our most popular articles every month in our " In Case You Missed It " series. Nearly two in three employees think a flexible and remote work schedule increases productivity, according to a recent survey by Cornerstone OnDemand. This is the third in a series of articles we’re doing around our annual State of Workplace Productivity survey. The skills gap is palpable, and while L&D teams focus on helping close it internally, the pressure is on recruiters to attract outside candidates that can hit the ground running, says Thomas Boyle, principal consultant at Cornerstone OnDemand. Shawn Flynn, head of global value, analytics and industry solutions for Cornerstone OnDemand, sees a strong link between the lack of measurement and compliance failures. Jason Corsello, Vice President of Strategy for Cornerstone OnDemand, answers a few questions on what the platform announcement means for developers and businesses. How do you see giving developers the power to develop on Cornerstone Edge changing the face of talent management? The daunting responsibilities even push some businesses to reconsider their service lines—some banks and other financial institutions are shedding capital-intensive ventures in order to lighten the burden of regulatory compliance, research from Cornerstone OnDemand reveals. Multicultural Dexterity: At Cornerstone, we're focused on diversity and inclusion initiatives, and I'm particularly interested looking at diversity in categories like diversity of perspective and diversity of information. It is with great excitement that we are announcing that Cornerstone Insights is available now to select “preview” clients using Cornerstone Learning. We’ll be back with more updates as we continue to rollout Cornerstone Insights to more of our customers. Learning Learning Collaborative Learning future of work Cornerstone OnDemandThe recognized value of corporate learning and development has been growing over the past few years as skills increasingly trump tenure in the workforce. — Cornerstone OnDemand (@CornerstoneInc) October 19, 2015. Strong leadership and talent retention are tantamount in providing the best healthcare services, yet according to Cornerstone's director of industry solutions Gayle Loving, more than 25 percent of new nurse graduates will leave their first job within two years. Nearly two-thirds of employees would be willing to use wearable technology if it helped them do their job better, according to a recent study by Cornerstone OnDemand. This is the fourth in a series of articles we’re doing around our annual State of Workplace Productivity survey.